Pet Carpet Cleaning with outstanding results. Pet Carpet Cleaning happens more often than you think. Pets make great companions and can lift our spirits. However, they may occasionally use your carpet as their bathroom. The smell can be very strong when urine gets into the carpet. Your pet may also be inclined to return to the scene of the crime. Chem-Dry’s Pet Carpet Cleaning Service is here to help. We have more than 20 years of experience in Sydney and are backed by the finest quality cleaning solutions. 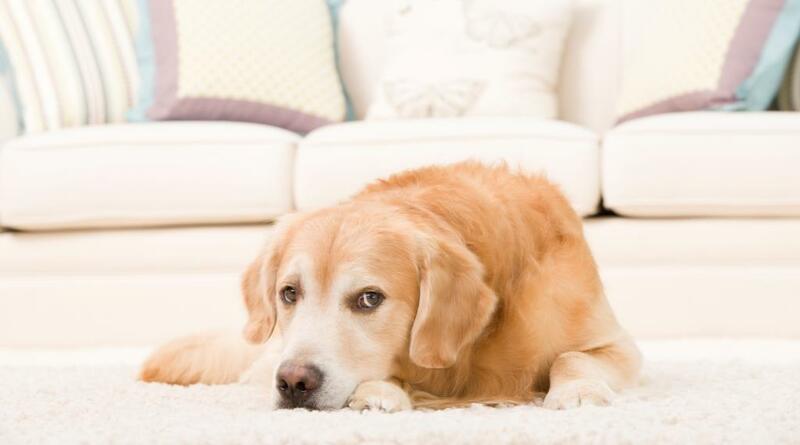 What happens when pet urine gets into your carpets? 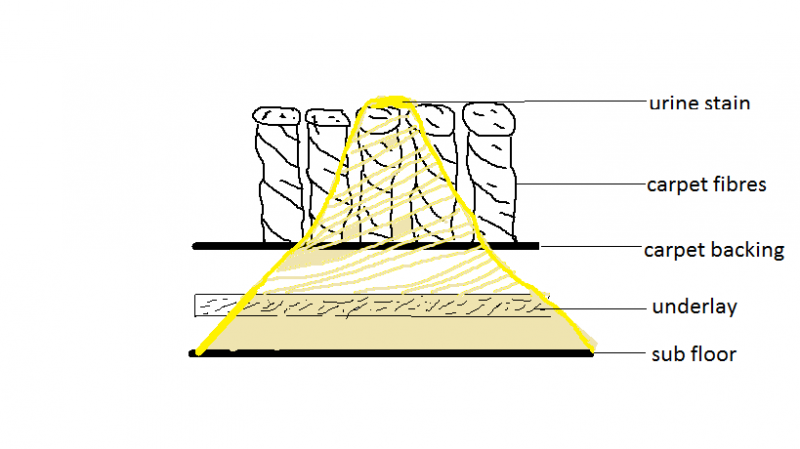 Urine penetrates the carpet ﬁbres and contaminates both the backing of the carpet, the underlay and floor. As urine dries, it forms urine crystals beneath the carpet. These crystals become very smelly and the odour is even more intense when the crystals come into contact with moisture. Pet carpet cleaning on its own will not remove this odour. We combine the pet carpet cleaning with our unique pet urine removal treatment (P.U.R.T) to immediately begin a chemical reaction that destroys the urine odour. We start by finding the pet urine’s source of the odour. The pet carpet cleaning starts with hot water extraction of the carpet. Note that if there are yellow stains visible, these stains may be permanent. There are situations where the carpet has to be lifted, underlay removed and floor cleaned and sanitised. 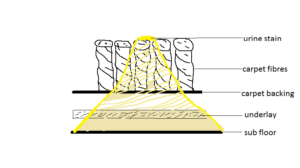 P.U.R.T is then applied heavily to saturate the affected carpet, underlay and floor. The ingredients in P.U.R.T. will chemically react with the urine. This process will neutralise the smell over a period of two days. 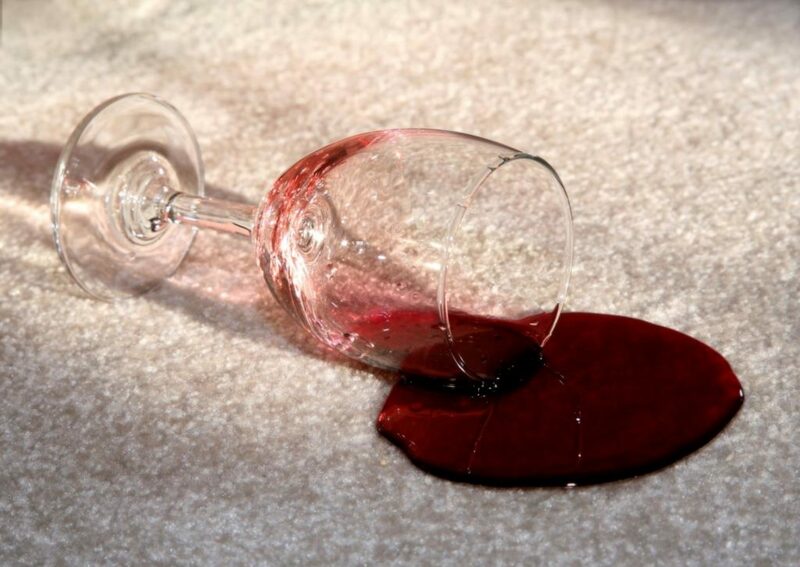 Wikihow has some additional tips on pet stain removal. oriental rug cleaning. synthetic rug cleaning. rug washing.